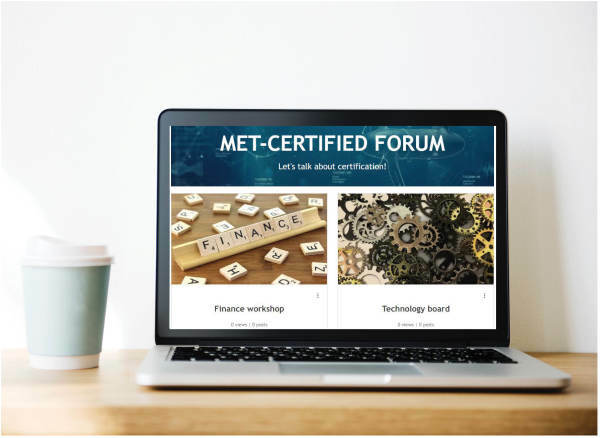 The MET-CERTIFIED website is full of useful information and downloadable documents but we would like to offer the sector and all relevant stakeholders even more: a way to join the discussion on several MET-CERTIFIED topics, a place to share knowledge, an online platform with a two-way conversation. We invite all relevant parties to join our discussion boards: investors/insurers, government regulators, technology developers, certification bodies, test facilities, etc. But since the boards are on a private (and so secluded) website, joining is only possible by invitation or by registration. We therefore kindly ask all interested parties to fill in the form below. We will send you the forum registration page once your application to join the forum has been approved. Why would you like access to the forum? Do you already have a forum login? Click on the image below to find the forum login page. Note: choose '"Already a member? Log in" at the bottom of the form, not register! Also tick the "remember me" box so you don't need to repeat this step.